For all of those people in New York who wish to attend Dave's memorial service, here's the details. Dave's memorial service is scheduled for Sunday July 19th at 12:30pm. It will be held at The Church of Scientology 227 W. 46th St. Manhattan, NY 10036. 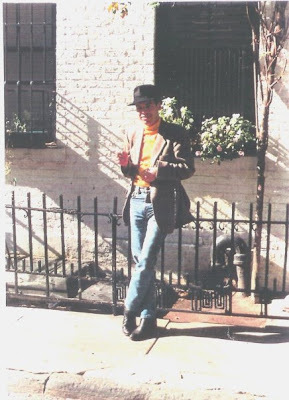 Phone 212-921-1210. Dave's family have requested that in lieu of flowers, donations to be made to the organizations that meant the most to Dave. At the top of the list is Hero Initiative. If you wish to donate in Dave's name, follow the link and go right ahead. You can find out more over at Dave's Facebook entry. the HERO Initiative are also planning a tribute. In this case they'll be running Dave's last unfinished work, details can be found here. Dave was working on the script and was getting ready to pencil the page when he passed away, Hero will be running the script along with a tribute by one of their staff members, so be sure to buy the book when it appears. Everyone who has a passing interest in comic books knows the name Frank Miller. And if they don't know the name David Mazzucchelli then they should, or should be shot. 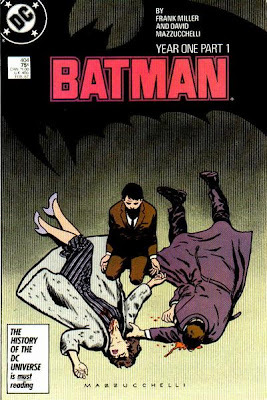 Together Miller and Mazzucchelli created two of the finest story-arcs of the mid 1980s, first with their run on Daredevil and the Born Again storyline and then with the classic Batman: Year One, a story that redefined the mythos of the character and is still referenced and held as a benchmark today, 22 years after it's initial publication. Indeed, much like Alan Moore and Dave Gibbon's Watchmen, Batman: Year One will more than likely never be out of print for DC as it still sells in numbers today.